Now a lot of elbow in the process of processing will use its stainless steel material, the use of such materials, products in the process of processing can effectively shorten the processing cycle of its products, so the cost of the elbow will be a significant reduction. Stainless steel elbow in the use of the process of its products in the field of application is very wide, can be in the oil, and water and electricity industry plays a very important position,stainless steel in the process of processing can also save a lot of their unnecessary costs. 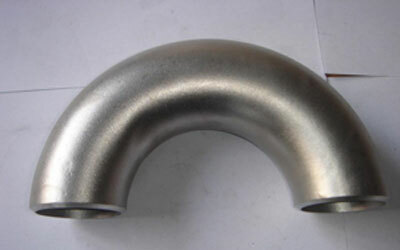 Stainless steel elbow in the assembly of welding operations will become more convenient, the equipment in the processing process need to pay attention to the product can not be due to heating products lead to corrosion of the situation, so the process of welding in the current must not Large, the length of the arc should not be too long. 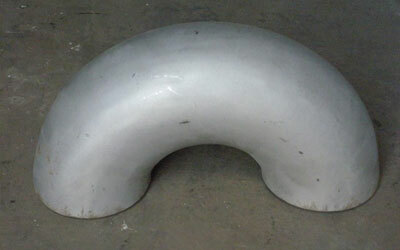 The main reason for the crack in the process of bending is that in the process of heating and bending, when there is a certain level of deformation temperature will appear after the deformation of the product will appear directly on the outside of its micro-cracks, so the situation and Processing materials are related. The length of the crack in the general case can be achieved mainly in the direction of the stress and then perpendicular to the austenite grain boundary. After the bending of the pipe, the pipe will recrystallize directly through its heat treatment, This allows microcracks to be changed. Bend in the production process also often encounter the problem of folds, there is such a problem that the product is unqualified, if the sales out will bring trouble to the customer, so the production process in accordance with its standards need to be effective The production. Now the 180 degree stainless steel elbow processing technology is very advanced, the use of our products to bring a lot of convenience, but the elbow in the process of processing there will be some minor problems, such as processing temperature if more than a certain value, the surface of its products There will be a certain degree of deformation. So that the elbow in the surface will appear a lot of its small cracks, in fact, such a problem not only because of its temperature reasons, there may be due to processing materials caused by the problem in the process of production and production if there is high-speed deformation Will directly lead to damage to the processing equipment. The length of the crack on the surface of the elbow can reach its longitudinal axis perpendicular to the grain boundary. The product needs to be effectively bent after the heat treatment, so that the microcracks on the surface of the product will become directly into the crystal, and the resistance of the product Tensile strength in the room its temperature is not affected. If the bending of the bending process in the process of mechanical properties and changes in wall thickness will directly affect the quality of its products in the process of processing its technical requirements is very important in the processing process must ensure that The degree of bending of the product and the processing temperature. Most of the cracks on the surface of the elbow are due to the temperature of the heating process, in the course of the use of the higher the temperature of the microcracks will increase, a small part of the reason is because the hot bending time Leading to microcracks on the surface of the product. In the process of processing the process of the majority of the material used for the iron, but this material in the process of processing there have been many drawbacks, and now the economy continues to develop, the product processing technology is also continuous progress, Processing materials are also diversified.